The adage that “a picture is worth a thousand words” is true for any marketing campaign, but especially so when you’re working on a social media network. Not only do you often have limits on the length of your posts, but you need striking photos to attract the attention of people quickly scrolling through their feeds will notice your company among all of their friends and acquaintances. The challenge for your company then becomes how to encapsulate your brand’s mission into a series of images. These images can range from fan photos snapped with a smartphone to professionally taken promo photos. When creating a strategy for sharing your brand’s story, it’s just as important to think about the content of those images and how you share them with your followers as where you find them. Here are a couple elements to keep in mind as you plot the best way to show off your company in photos. Old Spice has been adopting a quirky attitude in its recent marketing efforts, and it has wisely selected visual content with a similar style on Facebook. The brand’s first cover photo was a doctored photo featuring a tiger, a helicopter, and Old Spice erupting from a volcano. Another showed a man standing on top of a motorcycle, punching out a ninja with one hand and holding a puppy in the other. The images are ridiculous parodies of the photos you might see marketing an action movie, and that’s the feel Old Spice is going for. On the other side of the spectrum is Style Me Pretty, a wedding blog. 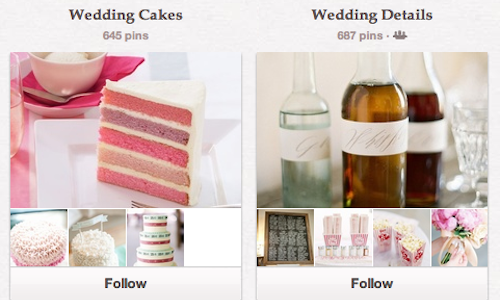 The site has more than 2 million followers on Pinterest looking at its images of beautiful gowns, jewelry, and decor. Even though Style Me Pretty isn’t directly selling any of the items featured in its pins, it is trying to generate page views by promoting a vision for the perfect wedding. Remember that attitude and lifestyle are just as important to share in your brand’s photos as a product. One of the best approaches for telling your brand’s story visually is to turn to your customers. When people are real fans of a product, they’re often interested in sharing photos to prove that loyalty. Social media channels are an easy way to collect and display these crowdsourced shots. One approach is to regularly highlight different fan photos. Ford Motor Company has taken this path on Facebook, as has Dunkin’ Donuts. This allows loyal customers to get creative in how they interact with the merchandise, and can yield images as appealing as any photo from a marketing agency. You can seek out photos by giving them a chance to go on display on the Facebook feed, as Ford does. 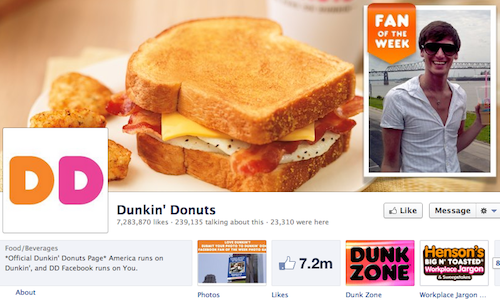 Or go even bigger as Dunkin’ Donuts does, and share the images in a more public place as well as on Facebook. Dunkin’ Donuts displays them on the company’s digital billboard in Times Square in New York City. Another option is to use those fan images in your cover photo. Coca-Cola has a rotating layout of photographs from its Facebook followers in its header image. The company collects these photos from one of its internal apps on the network. Verizon Wireless also collects photos taken by fans with their Verizon phones through an internal app, then posts a new one as its cover photo each week. Once you have the images you want, remember that the way you present them to fans is still important. There are many social media channels where you can reach out to followers, Starbucks is a leading presence on many social media networks and the company has taken an active stance toward uniting those many channels, especially on Twitter. 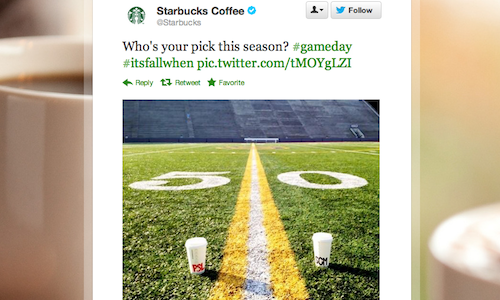 The brand’s tweets often feature links to images. Whole Foods Market has done the same thing. It has a great presence with photos on Pinterest and Instagram. On Facebook, the grocery store has internal apps for showing the images from both networks. Occastionally it will highlight an especially pretty image from Pinterest in a status post. By making Twitter or Facebook a central location for cross-posting, you can get a broader audience for material on some of the smaller networks, such as Pinterest or Instagram. You may not convert everyone to a follower on those other channels, but you will at least be able to increase the number of clicks you get. 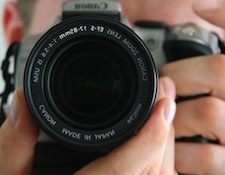 Do you have any suggestions for using images to share company stories? Let us know in the comments!